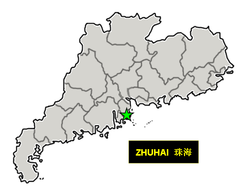 Zhuhai (珠海; Zhūhǎi)  is the name of a city, and Special Economic Zone (SEZ), in Guangdong Province, China. 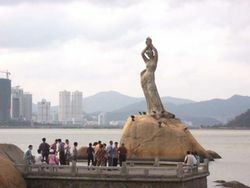 The name means Pearl Sea; Zhuhai is where the Pearl River (珠江; Zhūjiāng) flows into the South Sea (南海 Nánhǎi). Zhuhai is known for its beautiful long coastline, waving palm trees, open spaces, low population density, and its many islands; Zhuhai's nicknames are the city for lovers and the city of a hundred islands. Zhuhai serves as the gateway to Macau, as a tourist destination for Chinese, and as a playground for hedonistic Hong Kong, Macau, and Taiwan visitors who come for Zhuhai's very colorful nightlife and available female companionship at mainland prices. Located in the Pearl River Delta, Zhuhai borders Jiangmen to the northwest, Zhongshan to the north, and former Portuguese colony Macau to the south. By sea, former British colony Hong Kong and Shenzhen are just across the bay to the east. The provincial capital Guangzhou is about 150 km to the north. 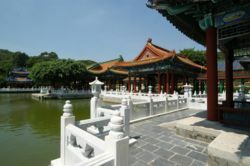 The Zhuhai area has been inhabited for thousands of years. Until the 1970s, Zhuhai was a group of fishing villages with a population of around 100,000. Since 1980, when it was designated a Special Economic Zone by the central government, Zhuhai has expanded to include nearby areas and is now a fast-growing modern city with well over a million inhabitants. However, it is still not as large and developed as neighboring cities like Shenzhen and Guangzhou. Zhuhai's northern districts of Jinding and Tangjia, as well as the western district of Doumen, are less developed factory-driven areas that retain a deeper working-man, salt-of-the-earth quality. Zhuhai is one of China's cleanest and prettiest cities, and received numerous accolades for its excellent ecological development efforts. In 1998, it was awarded the International Award for Best Practices in Improving Living Environment by the United Nations Center for Human Settlements. It is also commonly agreed to be one of the best cities in China to retire in. 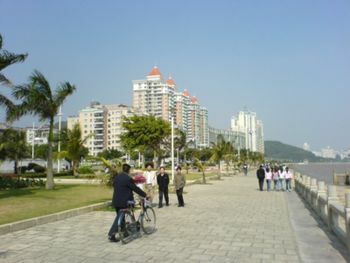 With a low population density compared to other larger cities in China, Zhuhai is unsurprisingly greener. Parks and open spaces dot the cityscape, and waving palm trees line the extensive coastline and many of the major streets. The weather in Zhuhai is sub-tropical. Temperature varies between 10C/50F degrees in winter (Dec to Feb) to a hot and humid 35C/95F degrees in summer (Jun to Sep). Typhoons are also a possibility in summer. The best times to visit are during spring and fall. 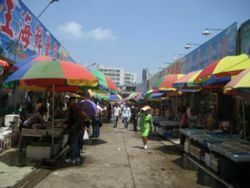 Jinding (金鼎; Jīndǐng) – Zhuhai's northernmost district is a factory town whose main attraction is a very large and lively nighttime outdoor BBQ; see the Eat Section for details. Jinding definitely has a working class edge, and is worth visiting for the BBQ alone, but wandering around may give you a different perspective to the ones you have previously experienced elsewhere in Guangdong Province. Visit Jinding to experience the real China before heading back to your more affluent Guangdong stomping grounds. Jinding can be reached via bus 3 or 10, or via sightseeing bus 2. Main commercial area of Tangjia at night. 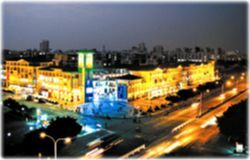 Xiangzhou (香洲; Xiāngzhōu) – Government offices, big department stores (including Jusco), and some bars and restaurants are scattered throughout this district. This is the area where the locals mainly go shopping. Gongbei (拱北; Gǒngběi) is the main tourist area with a wide variety of inexpensive hotels, clothing, electronics, souvenirs, food, drink, and colorful entertainment in relatively close proximity to the Macau border crossing. From Gongbei, the Macau border can be reached by a short walk on foot. Lianhua Lu (Lotus Road; 莲花路; Liánhuālù; sometimes called Walking Street; 步行街; Bùxíngjiē) Here you can see passers-by on the crowded pedestrian-only street that is filled with shops and street-food vendors (see the Drink Section for more details). There is also the more upscale Bar Street (酒吧街; Jiǔbājiē), a modern strip of nicer upscale bars with indoor and outdoor seating, some featuring live music (many blasting loud music inside). Most of these cater to Chinese businessmen and moneyed tourists. At the southern edge of Gongbei is a underground shopping center and the Macau border crossing (see Buy Section for more details). Doumen (斗门; Dǒumén) is in the Southwest. It is a bit out of the way, in that most of Zhuhai spreads north along the coast. The Zhuhai airport is here. The very scenic Jintai Buddhist Temple, built at the end of the Song Dynasty is over 1,000 years old and is well worth a visit if you are in the area. Get the full treatment at the Imperial (Yu Wenquan) Hot Springs Resort in Doumen, the first Japanese outdoor garden-style hot springs resort in China, with over 20 kinds of hot springs. Most visitors to China will require an advance visa, which can be obtained in Hong Kong or Macau. See Visas for details. If you are only visiting the Zhuhai area, three-day visas upon arrival are available at the border. Upon entering the Gongbei immigration building, after passing all the duty free shops, the visa office is behind a green door on the right hand side of the hall. Follow the stairs and you will find the office on the left. You need to complete a small white form, pay the fee and have your photograph taken with a webcam. The visa is then processed within minutes. This costs ¥160 for most nationalities, but Americans cannot use the service and Brits have to fork out ¥450 (December 2008). Hong Kong dollars are not accepted. Currency can be converted at the China Tourist Services office back downstairs in the main immigration hall, but usually at an awful rate. Once the visa has been issued, proceed to the immigration hall to complete the immigration process. 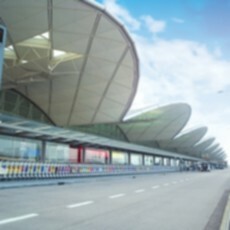 Zhuhai Airport (IATA: ZUH) . This is a moderately sized, modern airport that connects the area with many Chinese cities, but not many international destinations. It is located west of downtown in Doumen District. Budget carrier Spring Airlines  flies here daily from Shanghai. The Airport Express Bus departs from the airport to Xiangzhen and Gongbei districts for ¥30 (November 2010) per passenger, and follows the schedule of arriving flights. The first bus departs around 11:00 AM and the last bus departs about 21:30. 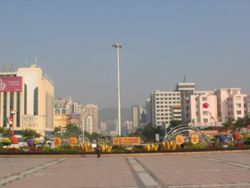 A taxi from the airport to Gongbei or Jiuzhou in downtown Zhuhai is around ¥130 (October 2011) when traffic is free flowing. You may also take public bus number 207, which goes right to the Gongbei border crossing, and costs ¥6. However the journey time is between 1 hour 45 mins and 2 hours. Note that this bus does not have a luggage storage area on board. 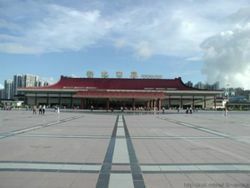 Zhuhai can also be easily reached by bus from the Guangzhou airport (see below). To reach Zhuhai from outside China, one would usually fly to Hong Kong, Macau, Shenzhen or Guangzhou. All four cities have large, modern airports with many international connections and all are within an hour or two of Zhuhai; Macau is closest. From the Guangzhou Baiyun International Airport (IATA: CAN) , a frequent express bus service that goes to Zhuhai is available. It costs ¥80 and takes approximately 2.5 hours with one stop in the northern part of Zhuhai before going on to the Gongbei border gate to Macau. There is a check in for the airport at Gongbei bus station, located near the KFC. From the Shenzhen Bao'an International Airport (IATA: SZX) , access from the fourth busiest airport in China is by long distance bus. Bus service is available for Zhuhai/Macau from the Airport Traffic Center from 08:20 until 21:05 for a price of ¥95 with a journey time of 2 hours. Service from Zhuhai to the airport leaves from Gongbei bus station between the same hours. Access is also possible via ferry using the Shekou Ferry Terminal, the Shenzhen Fuyong Ferry Terminal at Shenzhen Airport does not have a service to Zhuhai. From the Macau International Airport (IATA: MFM) , the best way to get to Zhuhai is via the Express Link  service, skipping the Macau immigration and customs altogether. Once you deboard the plane, instead of going through immigration, look for the Express Link (China) sign and follow it. This will lead you past a transit security scan station where you must pick up an Express Link card, and upstairs into the departure hall. Go to the ticket counter at Gate 8, present your card and buy a ticket for the coach that goes to the Gongbei border (past Macau, before Zhuhai). The coach fare is ¥52 and the ride takes only 15 minutes. Coach departure times are 11AM, 11:30AM, 12PM, 12:30PM, 1PM, 2:45PM, 5PM, 5:30PM, 6PM and 6PM. If you need to check in any bags for your flight, remember to have them blue tagged during your flight check-in procedure for this Express Link service. The blue tag is not a necessity, merely a convenience. Present your luggage tags at the above-mentioned coach ticket counter and pick up your bags at the bus bay later. The option to skip the Macau immigration is not available on the return. Allow at least three hours to get from Gongbei to the Macau airport. Immigration formalities can be very time-consuming, particularly on the Chinese side during the weekends. Once out of the Chinese customs (before entering Macau), there is a little ticket booth to the left where you can get a shuttle bus ticket to the airport for ¥35. The buses will be waiting on the left once you leave the Macau immigration hall. They run at 10 minutes intervals. Should you decide to go through the Macau immigration at the airport and use the Taxi service to get to Zhuhai, the ride takes only about 15 minutes. It costs about ¥60-80 for the short ride. But it is reasonable priced for those (>2 persons) who wish to share the taxi cab fees. The charges are inclusive of surcharge of ¥5 at the airport, ¥5 per piece of luggage. Taxi payment can be in Macau, HongKong or Chinese currencies. They are all treated equally in value. (ie. dollar for dollar, even though Macau dollar has the lowest value of the three currencies). Taxi cabs queue at the curve outside of the airport. Beware of fake note at this point. You may switch on your China mobile phone once you reaches the mid span of the Friendship bridge. The reception is rather good from this point onwards. Crossing into Zhuhai, China through the Gongbei port takes about 20-30 minutes. The Gongbei immigration office open for border crossing starting from 7:00am. For foreigner entering China, you will need to produce a valid visa. Follow the immigration line that say "Foreigner". Once you clear immigration, you are now entering the duty free zone. Chocolate, Western liquor and cigarette are popular gifts to the Chinese. These foreign goods are extremely rare and expensive in mainland China. So they serve as very attractive gifts to the Chinese. As a foreigner, you are also required to fill up an entry form, indicating your place of stay in China and your departure detail. Please ensure you fill up this slip before queuing at the Chinese Immigration line. When you exit the Gongbei immigration building, you have reached the Zhuhai border. If you need to purchase a pre-paid cellphone card, please proceed to exit the immigration building, then walk downstair to the underground mall. There are many telephone services stalls here. You may purchase a pre-paid sim-card here for ¥100. It comes with a loaded value of ¥50. You will need a GSM phone to get it to work. Always keep your belonging zipped inside your pocket here as pick-pocket is very common at the border check point. From Hong Kong International Airport (IATA: HKG) , one option is to take the Airport Express to Kowloon Station (at the cost of HK$90), then hop on the free Airport Express transit bus K2 to the China-Hong Kong Ferry Terminal (中港城码头; Zhōnggǎngchéngmǎtóu) to take a ferry to Zhuhai. See below for ferry timetable. Another option from Hong Kong is to catch a ferry from the HKIA Skypier to Macau and then cross into Zhuhai via the Gongbei border gate. Immigration and custom procedures can be skipped at the Hong Kong end. Full instructions can be found here . The ferry journey takes about 50 minutes and runs hourly (usually). A third option from HKIA is now available in the form of long-distance buses that go overland to Gongbei. The journey takes 3.5 hours and costs HK$200. Departure times are 7AM, 8AM, 4PM, 5PM and 7PM. A new ferry service is just introduced (twice daily for now) that brings travelers directly from HKIA to the Jiuzhou Port in Zhuhai. The ferry leaves at 12:15PM, 2:04PM, 5PM and 8PM. The one from Zhuhai to HKIA leaves at 9:30AM, 12:40PM, 3:30PM and 18:30PM. The trip takes approximately 50 minutes. From Hong Kong: There are several ferries per day from Hong Kong International Airport, HK-Macau Ferry Terminal (港澳码头; Gǎngàomǎtóu; Hong Kong/Hong Kong Island), China Ferry Terminal (中港城码头; Zhōng Gǎngchéngmǎ tóu; Kowloon) and Shekou Ferry Terminal (蛇口港; Shékǒugǎng; Shekou) arriving at the Zhuhai Jiuzhou Ferry Terminal (九洲港; Jiǔzhōugǎng). There is a taxi rank and bus stops directly outside. You can take a free bus ride to GongBei by showing your ferry ticket. Visas can be purchased here for most nationalities (not American citizens). Payment is in RMB only and the ATMs are through immigration so plan ahead. The HKIA-Zhuhai ferry is operated by Chu Kong , who charge HK$260/¥280 one-way to/from Zhuhai. Getting to Zhuhai Airport from the Jiuzhou Ferry port that connects Zhuhai with Hong Kong, an Airport bus can be taken for about ¥30 and the last bus departs at 8PM. The journey takes about 2 hours. From Macau: There is a ferry service operating from Macau's Inner Harbour's Pier 14 (澳门粤通码头; Àomén Yuètōngmǎtóu) to Wanzai. Daily departures roughly hourly from 8am to 4pm. It is possible to drive across the border from Macau. Unlike Macau, China drives on the right. Only vehicles with dual plates are allowed to drive across the border. 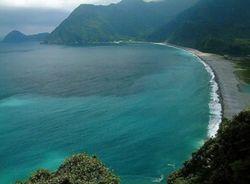 From any of these locations, the trip will cost ¥70-75 and take about 2.5 hours. Buses leave every half hour and go to Gongbei. Along the way, they usually make a stop at Xiangzhou (香洲; Xiāngzhōu) and Suidaonan (隧道南; Suìdàonán). One is underground, accessed from the lower level of the underground shopping center at the Gongbei border crossing (the Macau border). 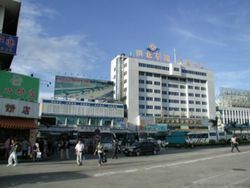 The main Gongbei bus station is within a few hundred meters from the Gongbei border crossing. It's off to your right as you leave the underground shopping center by the Northeast Exit. 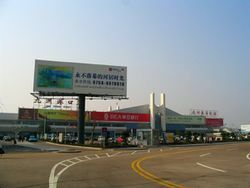 Xiangzhou also has a large intercity bus station. Take #2 or #10 city bus to reach it from Gongbei. You can walk across the border from Macau at Gongbei. The border is open from 7am to midnight. It typically takes 20 minutes of walking time, but be prepared for long queues, which can easily add over an hour to your total border crossing time. An alternative crossing is via the Lotus Bridge in Macau's Cotai area to the island of Hengqin. This border crossing point is open 8AM-8PM. After crossing the Macau side, take a shuttle bus across the bridge to the China side (fare ¥3, no change given so carry the exact amount). From the Hengqin side of the border take bus number 14 to Xiangzhou, or catch one of the Kee Kwan air-conditioned minibuses to Wanzai or Gongbei (¥5). It is also possible to cross via ferry at Wanzai on the Zhuhai side, which is also on the number 14 bus route. For foreigner entering China, you will need to produce a valid visa. Follow the immigration line that says "Foreigner". When you exit the Gongbei immigration building, you have reached the Zhuhai border. If you need to purchase a pre-paid cellphone card, please proceed to exit the immigration building, then walk downstair to the underground mall. There are many telephone services stalls here. You may purchase a pre-paid sim-card here for ¥100. It comes with a loaded value of ¥50. You will need a GSM phone to get it to work. Always keep your belongings zipped inside your pocket here as pickpockets are very common at the border check point. On the return trip from China to Macau, here are the border crossing tips from Zhuhai China to Macau via Gongbei port. The Gongbei immigration building opens at 7:00am. If you arrived at the Zhuhai Gongbei port via Taxi cab, you either arrive in front of the Gongbei immigration building or via the underground tunnel, linked to the underground mall below the Gongbei immigration building. Proceed to queue up at the entrance of building. It is rather cold in the morning so bring enough warm clothing with you if you decided to queue up in the morning before 7:00am. When the building opens, proceed inside the building. Look for the line that says "Foreigner" (usually line# 15). If you are already late for your connecting flight, go to the express line (no queuing required) and show them your air ticket for immediate attention. Once you clear the Chinese immigration, you enter the duty-free zone. Proceed to the immigration hall. Foreigner is required to fill up a blue-color slip in this hall, declaring your place of stay in Macau and your departure details. Proceed to queue at the line that says "Foreigner". Once you clear the Macau immigration, proceed to exit the building. If you carry any luggage with you, the immigration officer may request that your luggage be scanned by the X-ray machine before you are allowed to exit the immigration building. The whole border crossing process takes about 20-25 minutes, excluding waiting time in the long queues. You may choose Taxi cab or bus to get to the airport. The ride to the Macau International Airport takes only 15 minutes from Gongbei port. There will be surcharge of Macau$5 to the airport and $6 per item of luggage. It costs about Macau $70 to get to the airport by Taxi cab (inclusive of surcharges). Taxi cabs accepts Macau Patacas, Hong Kong Dollars or Chinese RMB for payment. These currencies are treated equally (With RMB being the most expensive) during payment. You may still use your Chinese pre-paid telephone card up to the mid-span of the Friendship Bridge in Macau. After that, the signal drops off. The Guangzhou-Zhuhai Intercity Mass Rapid Transit (Guangzhu MRT) opened on 7 January 2011. Currently, (Jan 6, 2013) line connect Guangzhou South railway station (Guangzhounan) and Zhuhai (near Gongbei (border cross point to Macao)). Price is dramatically changed (70 CNY for a 2nd class in one way). Not in all information resource information about it updated. So take bus K1 (3 CNY) for reaching Zhuhai North Railway Station (珠海北站; Zhūhái Běi Zhàn) (about 50 min) is not a good idea, because it a little cheaper (55 CNY) but it same line and not every train Guangzhou - Zhuhai is stopped now on Zhuhai North Railway Station. Also, price information is not updated too from Zhuhai North Railway Station' now 2nd class is 55 CNY, not 36 and full price from GZ to ZH cost 70 CNY. Trip time for full path about 1:20 from Zhuhai North Railway Station about 1 hour. Bus routes 3A (to Jiuzhou ferry port) and 65 (to Zhulinpu in Tangjiawan) connect the station to the rest of Zhuhai, while there is also a minivan service to Beijing Normal University. Reaching downtown Zhuhai from Zhuhai North station takes around 40-50 minutes by bus. There is also a taxi queue immediately outside the station. If your interesting in making your way straight to the Macau border, you can take the k1 bus directly from the station (珠海北站) to the Gongbei (拱北) border crossing. The cost is 3 yuan, and it takes about 30 minutes. Until the rail line extension comes into play, the direct downtown-to-downtown busses are likely to be faster and more convenient. Zhuhai is quite spread out. The terrain is coastal plain broken up by mountains or, seen from the sea, a series of bays and headlands. There are many clumps of development separated by hills, often parkland. Within any district, you can walk or take a taxi from ¥10. To move between districts, use buses. These are ¥1-3, depending how far they go and whether they are air-conditioned. Bus 10 will cross all of the Zhuhai SEZ north to south or south to north. By taking bus 10 it is possible to conveniently move between Gongbei, Xiangzhou, Tangjia, and Jinding. Bus 10 terminates in the south near the Macau border in Gongbei and terminates in the north on the mainstreet of Jinding. Bus 3 will allow you to reach Jiuzhou ferry port for trips to Hong Kong or Shenzhen. The double decker sightseeing bus bus goes to most areas between Gongbei and Jinding for ¥3. Padded seats and good air conditioning make it a lot more comfortable than city buses for long trips. The last sightseeing bus is at about 7PM. To get from Gongbei to Xiangzhou Bus Station to catch bus to Guangzhou, take Bus #10or 10a... 3 yuen. To get from the Biwan Hotel in Nanping District to the Xiangzhou Bus Station, take bus #K11 on the opposite side of the road....3 yuan. To get from Biwan Hotel to Gongbei take bus #60, 5 or K11 South to Zuhai Ave (500 meters) then change to # 608 or 601b Eastbound....2 yuen each. To get from Biwan Hotel to Wanzai Port and Live Seafood Street take bus #5...2 yuen....get off at Port. Cross street to go to seafood market. To get from Xiangzhou Bus Station to Gongbei take bus #2(2 yuen) to go via the coastline or #10 or 10a (3 yuen)for more direct route. To get from Gongbei to the nice beach across from the Dehan Hotel take bus #99...2 yuen..watch for hotel with a dome that looks like the white house. Get a card from the hotel where you are staying and keep it with you so that if you get lost you can give it to a taxi driver and he will know where to take you. Most buses run to only 9:30 or 10 pm. Cantonese is the indigenous language of Zhuhai, it being a part of the Pearl River Delta. Nevertheless, due to the massive influx of immigrants from other parts of China over the last two decades, Mandarin is now the lingua franca. English is not widely used, but some people speak it. Several more are further North, on a side road just before Jinding. Take bus 69 from town, bus 70 from Jinding, or bus 10A from Gongbei. The Zhuhai North train station is also in this area. Always inspect the product before paying for it and leaving the shop. Also, note down where you bought the item. You will never get a refund, but Gongbei shop owners are surprisingly diligent about protecting their reputation, so they will more than likely exchange defective merchandise. 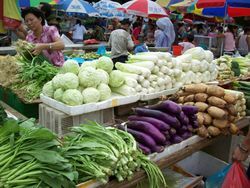 Cantonese cuisine is common place, but street food stalls and restaurants featuring food from all over China are also easily found. Seafood is a local specialty. For a cheap and filling snack, look for the tiny noodle places run by Muslims. 108 Gaosha Middle Street, Xiangzhou District (香洲区高沙中街108号; Xiāngzhōuqū Gāoshāzhōngjiē) (Near the border, a short distance along the road by the clock tower), ☎ +86 756 8132108. Turn right at the first corner (KFC) for a big seafood restaurant and a good Sichuan restaurant. Turn left at the seafood restaurant, and 20 meters along the side street will be an alley on your right with an assorted row of cheap local restaurants. At the end of the alley, turn left again for more of the same, including some good Muslim noodles place about half a block along on your right. Back on the main street, turn left at the first pedestrian overpass for good Northeast China (Dongbei) food. There is a fine Xinjiang restaurant on bus 4 route, one stop north of the Jida ferry port. That is part of a cluster of mid-range restaurants in a newly developed area. Around the border shopping area, there are a number of good and reasonably priced Thai restaurants. Pizza can also be found in other local restaurants, including a local chain called Pizza Coffee, but the pizza is not very appealing to Western tastes. (Along Lovers' Road (Qinglülu)) in Gongbei, a block from Bar Street). Large upscale Japanese restaurant. 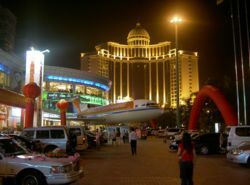 Zhuhai is known for its nightlife due to its status as a tourist destination for Chinese nationals, and as a playground for Hong Kong, Macau, and Taiwan businessmen looking for female company. Whether it's enjoying Chinese street life, mixing it up with all walks of life on Walking Street, sipping cocktails on Bar Street, or hitting the wild electronic discos, Zhuhai has what you're looking for! For a truly unique experience, have a beer or coffee at one of the couple dozen open-air bar booths along Linhua Road (莲花路; Liánhuālù; lit. 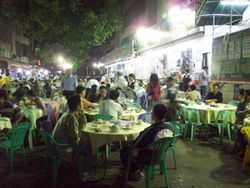 Lotus Road; also known as Walking Street (步行街; Bùxíngjiē)). It is parallel to Yingbin Road and a block east of it, starting on the western side of Gongbei Bus Station, opposite the northeast exit from the underground shopping complex at the Macau border. 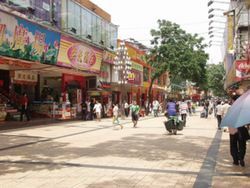 By day, it is a busy shopping street with numerous shops. It transforms into a spectacular must-see atmosphere at night. This area is filled with individual proprietary outdoor stalls for drinking and playing dice with the bar girls. The bar girls earn commission on the drinks so their goal is to get you to buy as much beer as possible. Casual approaches by working girls are common, as are beggars who offer to sing or shine your shoes, or present their pet monkey or simply point to their baby sadly. There are two groups of outdoor bars with the one further south nearer the border emphasizing food (nothing special) and the one a little further north emphasizing drinks. There is a stretch of shops in between the two areas. Drinks are cheap (¥18 for a bottle of beer, fresh fruit juice or cup of coffee), and you get to meet all sorts of travelers, expats, Hong Kong and Macau residents coming over for shopping or cheaper entertainment, local wannabes, and working girls. 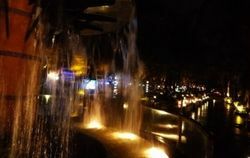 Hanging out here is by far one of the most interesting things to do in Zhuhai. Use common sense late at night, as things can get pretty wild. Most stalls are open till 3AM, a few stay open later for enthusiastic customers. Bar Street (酒吧街; Jiǔbājiē), at around 300 meters long, is a well-established, modern strip of more upscale bars, some featuring live music. 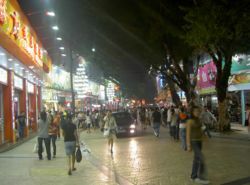 It is easily the first place newcomers to Zhuhai go to experience the energy and liveliness of life in Zhuhai after dark. This strip primarily caters to Chinese businessmen, Chinese yuppies, and moneyed or uninformed tourists. It is one block in-land and a 20 minute walk from the Gongbei border. Follow the street with the clock tower until it becomes Bar Street. Your best bet is to hit your bar of choice first and then inquire and explore. The discos tend to be large, intense, and heavy into generic Chinese imitation euro-trance music, and popular with the young and rebellious. Cover charges may or may not apply, drinks are expensive by Chinese standards (generally ¥30 or more). Be careful with your possessions as these places are notorious for pickpockets. 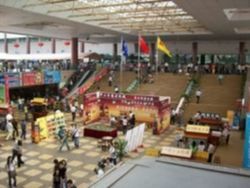 (On Walking Street near the food stands closer to the Macau border, look for the escalator going down from the street). Open until 6AM. Disco with lots of action. There are several slightly smaller, dance type clubs located right on Bar Street. The Xiangzhou and Jida areas also have popular discos. For singing/drinking in private rooms with your friends, the following places charge per hour for the room and drinks are bought separately in the mini-supermarket within the facilities. There are a handful of karaoke establishments across the street from the McDonald's as well. There are many KTVs in Xiangzhou. Come to Jinding Barbeque for a unique dining experience and beers aplenty (see Eat Section) and then go to Jinding Karaoke Bar Street, an off-the-beaten-path strip of about 10 truly hole-in-the-wall karaoke bars located northeast of the main street in Jinding. Come here if you want to experience where real salt-of-the-earth working class Chinese people go to get their drinks and howl at high decibel levels into a microphone. It is not easily reached by walking if you do not know where you are going, but it is easy to flag down any of the locals and get a ride on their motorcycle (takes about 3 minutes and costs ¥5) or take any of the taxi vans parked all around the middle of the main street. Just motion that you want to drink and sing and point in a eastward direction from the center of the main street to convey the message. You will be popular here and may be encouraged to join someone's table and drink gratis as most locals will be surprised a foreigner would come here. Drink plenty of beer or bring earplugs or both to dull the volume of the howling. The Blarney Stone in the Holiday Inn has quite a number of beers on tap. It is located in Jida. It features live western music performed by Filipino groups, among others, on some nights (usually weekends). The German beers on tap are rather expensive at Y58 (+15%) but Y23 (+15%) for a pint of draught Filipino San Miguel is rather a good deal, especially during happy hour (6-8pm everyday) when it is buy one get one free. Although the Irish decor is pretty average, it is a large and comfortable venue for those who are looking for a tamer night out. One of the cheaper hotel bars that I have been in and enjoys a reasonable mix of clientèle for a bar in a western hotel. 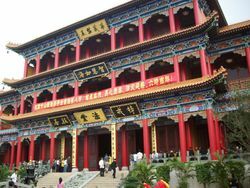 Dragon Union Opera House, also in Tangjia, is a large entertainment venue, occasionally featuring live, perhaps tacky, variety shows with acrobats, jugglers, rope climbers and singers, etc. Beer is expensive during shows. There is also a floor dedicated to massages. There are quite a few karaoke rooms available, complete with furniture, beds, food, drink, choice of girls, and optional adult entertainment options to fulfill your every need no matter how unusual. Known even in Hong Kong as a destination for those seeking an 'all inclusive' karaoke experience, it can be as tame or as involved as you want it to be. Hotels in Zhuhai are reasonably priced. Travelers on tight budgets can opt for budget or midrange hotels. 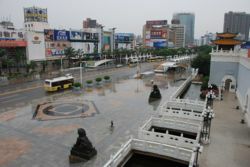 Most people choose to stay in Gongbei due to its proximity to attractions, nightlife, the Macau border, and its variety of conveniently located and reasonable hotels. Jida has primarily upscale hotels that business travelers sometimes opt for, which are usually conveniently located. Some are further away and require taking taxis or the bus. Further out, Xiangzhou also has a variety of options at different price ranges. 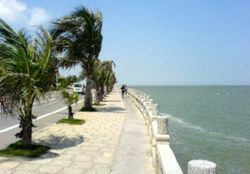 The Northern districts of Tangjia and Jinding are further removed from the action of Zhuhai and offer very cheap hotels. Most budget travelers opt for low end hotels, and there are a number of legitimate cheaper hotels in Gongbei with low prices between ¥160 and ¥230. Talking your way into Chinese only hotels may land you prices in the ¥120 to ¥150 range. Some hotels in Xiangzhou can be had for as little as ¥100 to ¥120, and in the Northern districts of Tangjia or Jinding hotels can be had for as low as ¥80 if you look around. However, for those who truly want rock bottom prices somewhere other than a hotel, there is budget lodging in the form of hostels, and private rooms offered by individuals or families. On the Walking Street in Gongbei there are at least three massage parlours. If you arrive after 9pm you may pay ¥60 to ¥88 (depending on the room type) for two hours traditional Chinese massage and they will let you sleep until mid-day without additional payment. In one establishment you may have the room to yourself. It has television and air-conditioning. In the others you share a room with four other guests. Touts outside the Xiangzhou bus station offer accommodation, often in private apartments with the family on bunk beds in the living room so the bedrooms can earn money. ¥50 a night is usual. These are usually clean and have a TV in every room, but up several flights of stairs and with a squat toilet. There are at least a dozen hotels within short walking distance of the Gongbei border, mostly either cheap or mid-range (¥150-400) ones. You can bargain the prices down and normally they have special prices, around half the listed price. On the other hand, it is not uncommon to see a low price on the sign, but find when you go in that only more expensive rooms are available, sometimes this is true, sometimes it is an effort to coax you into a more expensive room. Adventurous single male travelers can scout around for rock bottom prices, and may be able to find a room for as little as ¥120-130 if they can talk these Chinese only hotels into accepting them, which is not always possible. Single female travelers, those with young families, or those fearing excessive street noise or noise from other guests should have no trouble landing a room for ¥175-275 (with an elevator, bellhop, restaurant etc), whic anyone would feel more than comfortable staying in. Most of the hotels located around the border fall into this category. The available options are plentiful so looking around for a hotel that suits you may be the best plan. Most higher end hotels are located in Jida or Gongbei. Gongbei situated hotels are more convenient for accessing the Macau border crossing, colorful nightlife and walking around and exploring. Jida locations vary, depending on the address of the hotel as some are essentially in Gongbei, while others are well north of that and are a taxi ride from the heart of the action. 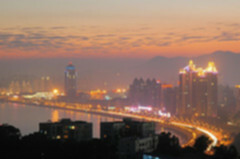 In general, Zhuhai is a safe and friendly city. However, it is heavily infested with pickpockets, especially in the crowded shopping areas and on busses. Using a razor to get a wallet out of a hip pocket on a bus is a favorite tactic. Zhuhai is well known for rent-a-hottie services, but it is not Thailand. Prostitution is illegal in China, and if you are caught with one by the police, the consequences could be dire. As in anywhere else in China, do not drink the tap water, avoid undercooked meats, watch out for counterfeit bills (especially 50s), and be very cautious about traffic. As in anywhere else in Asia, some tour guides will take you to shops that pay them commission. Those shops are often overpriced, and the usual advice is to never let any local except a trusted friend take you to any tourist shop. One Zhuhai variant involves outrageously priced herbs from a Chinese medicine company called Bai Chao Tang (百草堂). The bus to Guangzhou, the capital of Guangdong Province, costs ¥60 to ¥65, runs every half hour and takes 2.5 hours from Gongbei or 1 hour 45 minutes from Tangjia. Allow an extra hour for the inevitable Guangzhou traffic jam. You can board one at the underground station in Gongbei to reach Garden Hotel in Guangzhou (花园酒店), or one from near the Gongbei border to get to the Provincial bus station (省汽车站) or Tianhe Dasha bus station (天河大厦). Additionally, it is possible to take the bus from Tangjia in northern Zhuhai to get to the Guangzhou airport, or Guangzhou proper. Neighbouring Macau can be reached on foot or by car through the Gongbei border crossing, by ferry from Wanzai area, or on foot or by car through the Lotus Bridge from Hengqin. 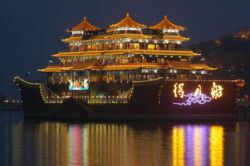 Hong Kong can be reached by a 1-hour ferry boat trip from Jiuzhou Port (九洲港). Bus #3 will take you to the ferry terminal. Ferries run regularly all day, with the last boat to Hong Kong leaving at 9:30pm. 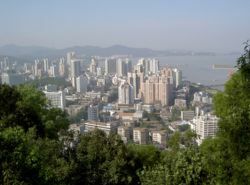 Shenzhen, district of Shekou, can be reached by a 1 hour ferry boat trip from Jiuzhou Port (九洲港). There are also buses to most nearby cities including Shenzhen (cheaper than the ferry), and overnight buses to Guilin, Xiamen, Zhanjiang and Beihai. 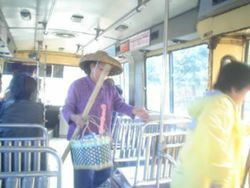 The Xiangzhou and Gongbei bus stations have overnight buses to Guilin or Yangshuo. These are fairly uncomfortable. Unlike most overnight buses, they have no on-board toilets, but they do make several stops during the 12-hour trip. Flying can either be accomplished by using the Zhuhai airport in the western Doumen district of the city, or taking the bus to the Guangzhou airport. Times vary for transportation depending on how far south in Zhuhai you are departing from. If leaving from Xiangzhou, Tangjia, or Jinding it is nearly as fast, and more perhaps more convenient, to get to the Guangzhou airport. If leaving from Gongbei or Jida the Zhuhai airport would be nearer. There are remote check-ins for nearby airports in Zhuhai. For Guangzhou airport, the check-in is at Gongbei bus station, near the KFC. For Hong Kong and Shenzhen airports, you can check in at the ferry terminal, Jiuzhou Port.